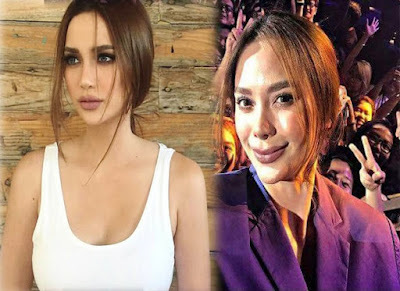 Despite being one of the most beautiful faces in showbiz, Arci Munoz was perhaps not satisfied with the way she looks. Many netizens have really noticed the drastic change of her appearance during Accenture Shout Manila event at the World Trade Center. From comments that she's looking noticeably different to comparing her to the late King of Pop Michael Jackson, netizens believed that the actress has undergone a nose job. It can be recalled that Arci once said that she's not against people who go under the knife to boost their confidence. "It's open naman 'di ba? Ako personally, I'm not against it. It's my body, and whatever is gonna make me feel more comfortable, and more confident sa aking sarili...I'll do it." she explained during a previous interview. This is not the first time the actress allegedly underwent facial surgery. The actress revealed back then that she did something to her face due to an accident. In a report from Philippine Entertainment Portal, she shared what happened. Check out this video to see the difference before and after her alleged nose job. What can you say about her transformation? Share your thoughts below!